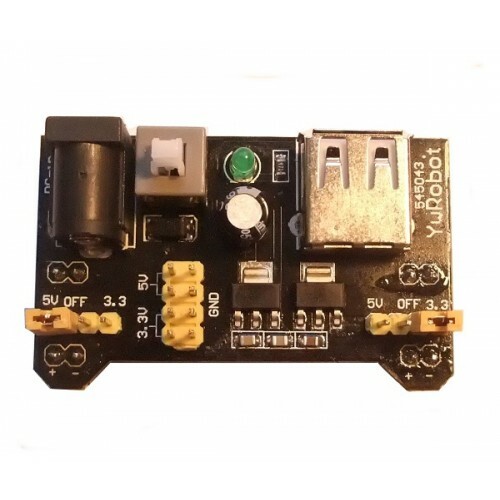 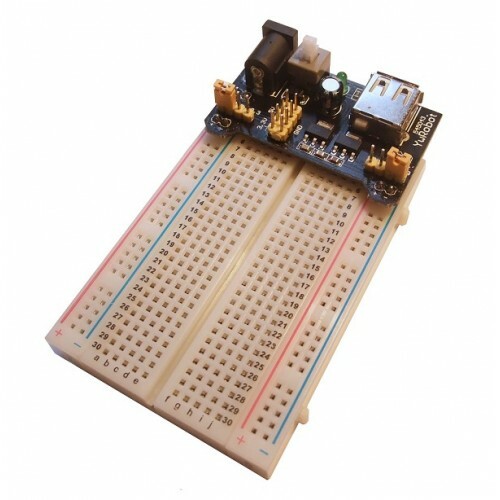 Convenient plug in breadboard power supply that provides both 5V and 3.3V power to the power rails on a standard breadboard. Each power rail can be independently set to 5V, 3.3V or OFF allowing for maximum flexibility. 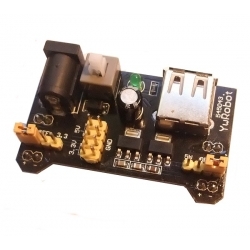 Also contains an on/off switch, LED power indicator and 5V USB output socket.